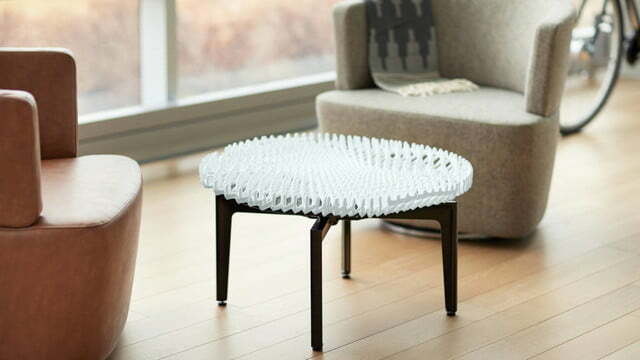 A collaboration between the Massachusetts Institute of Technology’s Self-Assembly Lab, Steelcase, and designer Christophe Guberan has resulted in a 3D-printing breakthrough. This new process uses a rapid liquid printing technique that breaks the previous constraints of speed, scale, and quality. Buyers could affordably customize a piece of furniture and have it printed in minutes. Previously, 3D printing came with its own set of limitations. Printing an object required a support structure, layering, and time to cure. This results in a slow, small-scale process. 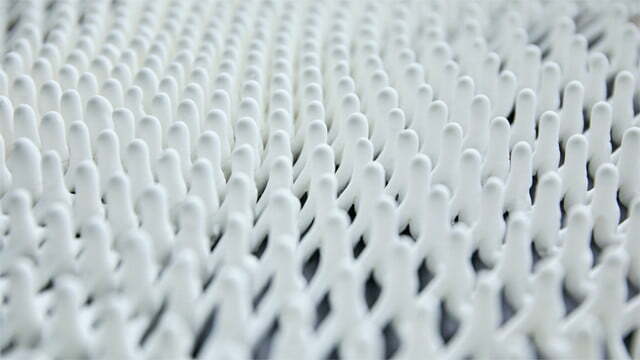 While working with Steelcase, the Self-Assembly Lab created a technique that prints inside of a gel. With the gel acting as 360-degree support, a product designer can essentially draw in 3D space without the limitations of gravity. This makes printing faster and the product can be big as the machine available. Unlike traditional printing, curing is done while the 3D printing is still underway. A two-part mixing process allows the material to cure chemically rather than using light or temperature. According to MIT assistant professor Skylar Tibbits, the intricate design of their baseline table top took only 28 minutes to print. In another experiment, they were able to print a structure in 10 minutes that would have taken 50 hours using a more traditional 3D-printing method. For now, this collaboration will continue to experiment with materials, scale, and further improvements.